View the powerpoint of Derek's discussion of the importance of mentoring in the disability community. Sign up here to participate in a mentoring program here at KU. We are so excited you have joined our community. KU values diversity and inclusion. 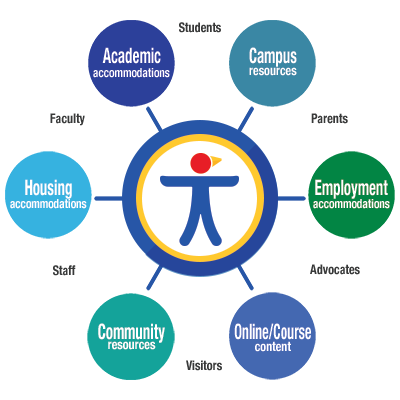 The University is committed to providing equal access for individuals with disabilities to the academic, social, cultural, and employment opportunities available at KU. This website is designed to be a one-stop shop for information on equal access, accessibility, and disability at KU. Please email us at accessibility@ku.edu to share a comment, or suggest additional resources.